Does feeling alone trigger your anxiety? There are feelings that can tigger my anxiety in an instant. It is probably the same for you too. Feeling ignored throws my brain into survival mode, and I feel myself wanting to flee. I want to run away from the danger. But the truth is there isn’t any danger. In every moment of my life, I am seen by my Lord. I am deeply known. Here is what you need to know about Zerubbabel. If the exile had not happened, Zerubbabel would have been king. Instead, he was governor over Israel. Not all of the Israelites had returned from exile. They had limited resources to rebuild what had been a magnificent temple, built under Solomon’s leadership and destroyed during the Babylonian capture. They had no armies, and they were rebuilding without the power Israel once had. How disappointing to know that he could have been a king over Israel with a beautiful temple. Surely if the exile had not happened he would feel the favor of God. Being a governor isn't the same as being king. I’m sure Zerubbabel probably imagined how things could have been different if the exile hadn’t happened. I’m sure he imagined the respect he would command, how it would feel to stand in front of the grandiose temple as king, and how it would feel to sit on a throne. Did anyone notice or acknowledge the position he didn’t have, the position that would have rightly been his? I think Zerubbabel felt unseen. When Zerubbabel heard the words of Haggai, hearing that the Lord would make him like a signet ring (a highly valuable possession or treasure, a sign of royal favor) and that God had chosen him, he must feel so know, seen, and fully loved. He was seen. He was not alone. The prophet Zechariah also records these encouraging words to Zerubbabel. The other thing you need to know about Zerubbabel is that he is in genealogy of the Lord Jesus. God fulfilled his promise of a king who would reign eternally through David and Zerubbabel. What a servant indeed! Being seen and chosen was true for Zerubbabel, but it is also true for you and me too. Feeling unseen by others causes me anxiety, but knowing how intimately God sees each of us is changing the way I react when I feel that anxiety start to build. I do something daily that helps with this. Each day, above my to-do list I write, “I am seen, known, loved, liked, chosen, friend, included.” This is how God sees me, and I remind myself every day. What are your anxiety triggers? Think about times when you’ve felt anxious. What other feelings accompanied your anxiety? What circumstances brought it on? Make a list. Then for every feeling on that list, write the truth about how God thinks of you. After you’ve done this, incorporate those truths into your life. You can copy them into a journal daily, make a reminder on your phone, or print them and put them in your bathroom. See or write the truth of how God sees you every day. It is too easy to forget how God views us. It is too easy to think we have to behave ourselves to be loved by God. It is too easy to think we have to perform to be seen by God. Anxiety manifest in perfectionism that lies to us. Perfectionism says that we have to measure up to an unattainable goal, being a perfect Christian. Real life is far from perfection, and truth overcomes the lies every time. Subscribe to my email newsletter, and get this helpful worksheet today. I have anxiety. It is not easy to put this information in black and white for the world to see. I live in a hotbed of stigma. I am surrounded by it. Depression and suicide in my family of origin, transracial adoption, and choices by family members have made me very aware of how stigma is isolating. Willingly admit more stigma to my life might be wildly unwise. At this point, I’m knee deep anyway. Why not add a few more inches? Truth is truth, whether you admit it publicly or not. I was hesitant to admit my anxiety because of the idea of labeling myself. If I said this was a problem for me, I would have this label attached to me. I believed that my anxiety was temporary. It isn’t. I can look back into my memories and see an anxiety-filled Jennifer at every age and stage of my development. I have lived with anxiety all my life, and the only hope of overcoming it is to own it and learn the best ways to live with it. If you’ve read my blog, you might remember me posting about struggles with social anxiety. You might be wondering what the difference is. There is a difference. In the past, I’ve struggled with social anxiety. With social anxiety, I would put thoughts in other people’s heads. I would decide I knew what other people were thinking about me, and it wasn’t good. These false ideas would paralyze me and cause me to withdraw from social settings, especially church. In the last year, my anxiety has become very evident and a hindrance to functioning in life. So many times I have become overwhelmed with the human response to fear. I don’t just feel paralyzed or want to withdraw, my fight or flight response has lost its ability to discern what is really dangerous. The slightest feelings related to fear (rejection, stress, inadequacy, helplessness, overlooked, left out) are treated as life-threatening by my brain. My body reacts, and I cannot control it. My nervous system makes my skin hurt, my brain becomes foggy, I have headaches, heart palpitations, and sweaty palms all because my brain releases hormones that cause all kinds of physical problems. For me, admitting that I had social anxiety was like admitting to anxiety-light, not the full blown anxiety that tops the list of mental illnesses. I wasn’t ready to be truthful with myself about the extent of my internal struggles. 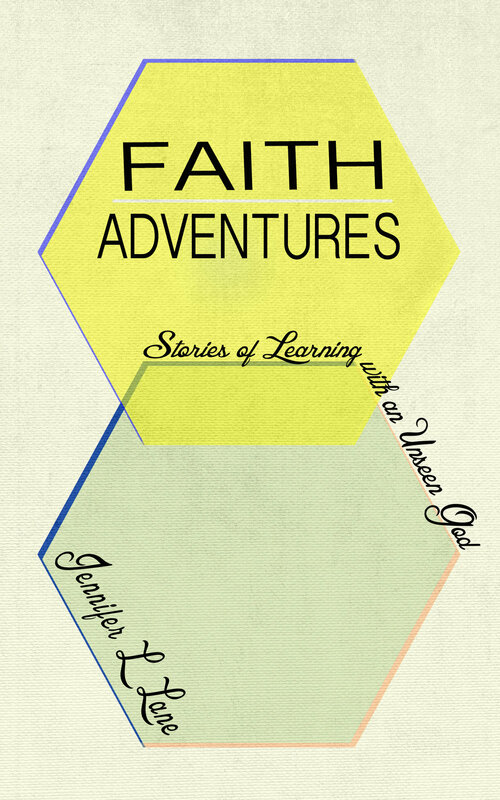 This summer I plan to blog about my anxiety, how it affects my day to day life, and how it relates to my faith. I hope sharing my struggles and victories will encourage you with your own hard-to-admit problems, whether that is also anxiety or something else that fills you with shame, anger, or fear. If you are struggling with owning your anxiety, social anxiety, depression, panic disorder, bipolar disorder, eating disorder, or other mental illness, I would encourage you to think through these questions. What would it change to admit that I have this illness? Can I look back in my past and see that I had this issue in my childhood or teenage years? Who would be supportive if I admit that I have this illness? Who might pull away if I admit that I have this illness? Am I getting help (medicinal, therapy, or otherwise) for my illness? Would I be more likely to seek help if I admit that I have this illness? Admitting the truth of where you are at is the only way you can know the options of your next steps. For me, my next steps have been big. I have been seeking several outlets for healing and help. I have intentionally surrounded myself with supportive people. There’s a silver lining of stigma. You find true, safe friends when you have this baggage that many shy away from. There were people in my life that were unwilling to discuss my anxiety. They didn’t want to ask questions or seek to understand it. Supportive people will not only seek understanding, but they will approach you with empathy. Empathy is essential to really good friendship. On the other hand, there were a few friends who showed themselves to be caring, kind, empathetic, and encouraging. These are the friends who showed the love of Christ during a difficult time in my life. I am so grateful for their wisdom and friendship. Don’t be afraid of stigma, losing unsupportive friends, or seeking help. As you take the first step of admitting you have a problem that needs help, pray God will lead you to your next step. Supportive friends will emerge, and you will thank God for them. *I'm not a therapist or a doctor. Please seek medical help if you have anxiety or other medical issues. I first was introduced to Crystal Stine when I signed up for my first Write-31-Days challenge back in 2015. She was our host, encouraging participants to keep going on our challenge. 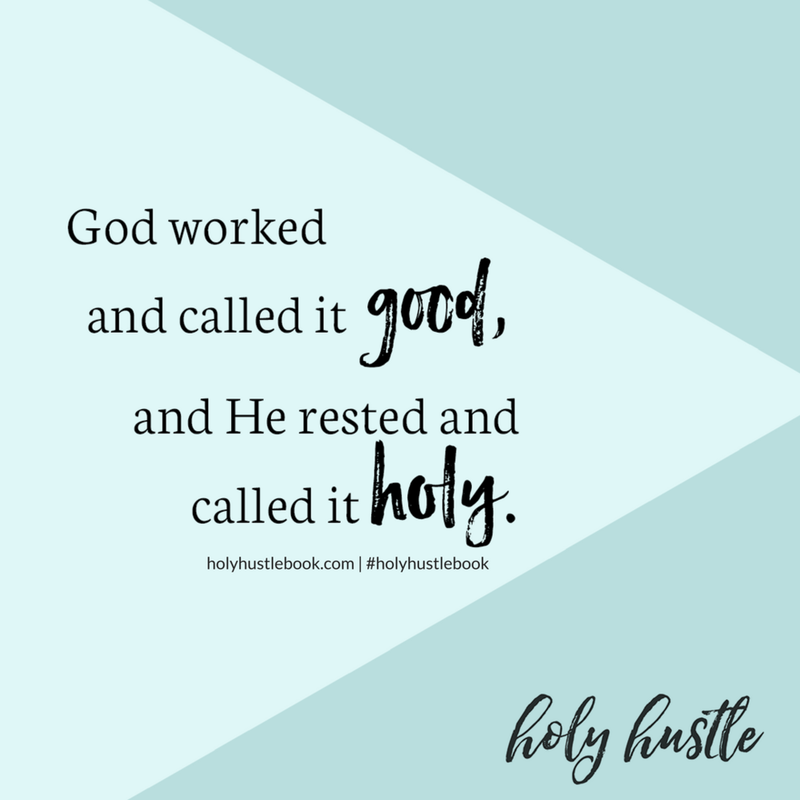 This week, I was thrilled to read Crystal’s first published book that released today, Holy Hustle: Embracing a Work-Hard, Rest-Well Life. I’m here for the rest. This is a lesson I’ve been learning the past few months. After some serious burnout, our church sent my husband and me to a week-long retreat specifically to help us overcome our ministry burnout. The majority of our week was spent learning why proper rhythms of work and rest were extremely important in ministry. I had already begun learning some of these lessons as I hit a wall and wrote about my feelings towards good works and God in my 2016 Write-31-Days challenge. Crystal has learned the importance of rest. I’ve had to admit some prideful thoughts to God as He’s asked me to incorporate rest into my life. Thoughts like: No one else can do this as well as I can. If I don’t do it who will? If I say yes to all these projects I’ll have job security. I don’t have time to rest. The idea that we can rest well as we do good work is so exhilarating. I have to admit that I felt a little tension with the word hustle. I’ve been in urban ministry for twenty years, and for me, hustle has connotations related to selling illegal things on corners. I know that might not be the typical connotation for a middle-aged white Jesus woman, but it is. Rap lyrics are not a stranger to me. Crystal lays out a beautiful case for redeeming the word hustle. It does not bring guilt or shame you for resting. It isn’t bothersome or insignificant to God. It can’t be too small to make a big impact in God’s Kingdom. It isn’t born out of fear. It doesn’t serve ourselves, instead it serves others. It doesn’t shine a spotlight on ourselves, instead it illuminates God’s glory. It isn’t work just meant for a few people, instead it is for everyone. It isn’t limited to a few gifts, instead every gift is needed. It doesn’t stop when failure happens, instead God can redeem failure. It doesn’t keep going when it is time to rest. Holy Hustle will change the way you live out your calling among the people in your lives. As you read and embrace healthy rhythms of work and rest, you can obey your commission well and have holier harmony in your priorities. It’s been a mild winter, but I’m still longing for the sun. In these last few days of winter, I’m thinking back on what I’ve learned these cold months and I’m merrily looking forward to spring. 1. I dove deep into figuring out hygge, a Danish lifestyle idea that’s gained popularity around the world. I lit candles (almost burned my house down), read books with cozy socks, and I enjoyed simple. I found a book at the public library, and I read up on how to hygge. One thing I learned in the chapter about light is about the cute, modern Danish lampshades that I love to gaze at on Ikea trips. The shape and size of the shades are trying to accomplish something besides just looking cool. They are trying to create a less harsh light for a more calm living space. I had no idea. 2. The book of Isaiah in the Bible might not have been entirely written only by the prophet Isaiah. I’ve been attending Community Bible Study since August, and this year our study is titled Return to Jerusalem. We’ve been learning all about the exile and return of God’s people in the years between 630 BC and 430 BC. Isaiah’s prophetic ministry actually predated this and began in 740 BC. So when I was listening to the audiobook The Jesus Way by Eugene Peterson and he was talking about unknown prophets writing parts of Isaiah during and after the exile, my ears perked up. We had talked about Isaiah’s prophecies about the exile back in October. Maybe we didn’t know the whole picture. Peterson said that Isaiah had clearly authored chapters 1 through 39, and it is thought that an unknown prophet authored chapters 40 through 55, and another unknown prophet authored chapters 56 through 66. This idea that someone was writing this work that would be canonized into our Holy Bible during and after the exile without their name being recorded defiantly sparked my imagination. What would that be like? Isaiah chapter 40 is beloved especially since the eagle represents America and Isaiah 58 is often quoted by our current church’s renewed focus on social justice. What about the “beautiful feet” of chapter 52? What if these chapters were not written by Isaiah at all but some anonymous prophet living in Babylon? To know nothing of the man God chose to pen such inspiring, beautiful words? The Holy Spirit breathing these holy ideas through an unknown vessel? Or what if the multiple author theory is wrong and Isaiah wrote it all? What if this theory is just human nature to try to explain away the specificity of Isaiah prophecy (like knowing Cyrus’s name 200 years beforehand)? So what I learned this winter was more questions. More questions isn’t a bad thing. Sometimes having more questions means you’re getting closer to knowing something. 3. This January as I was making my list of goals for 2018, I realized one thing I wanted to do this year was join or start a fiction book club. It sounded like fun when I was reading the book The Happiness Project by Gretchen Rubin several months ago, and I haven’t quit thinking about it. I started remembering some things about 6th grade Jennifer. I loved to read, and my favorite thing to read during that time was Sweet Valley books. One of my Sweet Valley books came with a book club kit. It had all kinds of silly paper goods created with preteens in mind like little book club membership cards. I remember sitting at my little desk in my room dreaming of having a Sweet Valley book club. Who would I invite? What would we talk about at our meetings? Would we wear all purple like Jessica on meeting days? I never started my club. Probably because it was summer and I lived in the country at the time. I didn’t have many neighbors I could have wrangled into my club. What I learned this winter is that I am still that 6th-grade girl, and I still want a book club. I might not want to talk about my favorite fictional Cali-girl twins, but I want to talk about story, plot, narrative, symbolism, and how fiction teaches us how we feel about the real world. I have no book club plans, but I learned something I want to do and knowing what you want to do is half the battle. 4. I like designing calendars. I’ve made calendars for my email subscribers for January, February, and now for March. It’s fun designing these useful printables for my email friends and my own personal refrigerator. I just emailed out the link for the March calendar yesterday. If you subscribe, I’ll email it to you too. I’ve had my fair share of boulders to carry in the last decade, and I’m thankful for my friends who have grabbed a corner in some way. There are so many ways we can reach out and bear a burden, be the Church, fulfill the law of Christ! An intercessory prayer, an ear to listen, a well-timed (or God-timed) text or message to let someone know they’re not alone, a thoughtful gift or a need met out of the blue can be tangible love. It is a disgrace to sit around in buildings and talk about loving one another and never actually do something that shows love to someone who needs love. If you are sitting here reading this trying to decide what is and isn’t a burden. My advice is to air on the side of grace. Something that seems easy to you might actually be something that feels like drowning to someone else. Most burden-bearing activities don’t cost much, do they? Call that hurting friend. Send that text. Pray for those who pop-up in your mind. If letting someone know you care sounds like too much to you, you might have a different boundary problem, the opposite of co-dependancy. You might have a fence with no gate. You might not have a mechanism to let in and let out love. This winter had a lot of good lessons. Have you learned something this winter, you want to share? Comment below! If you want to share what you've learned this winter, check out Emily P. Freeman's What We Learned Link-up. I want you to read a section of Scripture that you might not be familiar with. I don't think I've ever heard a sermon preached on this. I know I've never read it and comprehended it until this year, but this section of Scripture has been weaving around my brain for two solid months now, and I've been so affected by it that I want to share it with every person I know. It has broken me. It has led me to confession and repentance. It has comforted me in times of distress. It has become a value I use to make decisions. It has helped me to better understand God, and that's no small thing. Let me try to clear up what is going on here because there are some words and backstory that I didn't know. After the Israelites were taken into exile, they had no temple and therefore no place of worship. They began the religious observance of fasting on four significant days around their exile. They fasted on the day the siege of Jerusalem began, the day the wall of Jerusalem was broken through, the day the temple was destroyed, and the day their high priest was murdered. In my mind, I've always pictured Jerusalem's fall happening in a slow-motion movie sequence that lasts only a few days. The reality of these events recorded in Scripture shows that the destruction of Jerusalem and exile of God's people was a series of horrific, traumatic violence that lasting at least 10 months. The word Chislev in the first paragraph is the name of a month in the Jewish calendar, the third month to be exact. At the beginning of the fifth month was when the Jewish people would fast in remembrance and mourning of the destruction of the temple. You also need to know that the exile had ended, many of the Israelites had returned to Jerusalem, and the temple was in the process of being restored. When the men came to ask the priests, “Should I weep and abstain in the fifth month, as I have done for so many years?” what they were asking was could they stop fasting in mourning of the destruction of the temple now that the temple was being rebuilt? The people had just fasted the month before in remembrance of the destruction of the wall. The was not yet rebuilt, and it wouldn't be rebuilt for another 70 years. The people didn't really want to fast, and they thought they could get off the hook for one of the four fasts since the temple was now being restored. God cut right to the people's heart issues when He gave Zechariah these prophetic words: "When you fasted and mourned in the fifth month and in the seventh, for these seventy years, was it for me that you fasted?" God sliced away every bit of the outside, surface, distracting baggage, and He shined a spotlight on the heart of His people. With these words, God swept away the religious acts, the busyness of their hands, the pious physical actions, the empty observances, the outwardly sacred, the pride-building sacrificial compliance, and He uncovered the barrenness of their feelings towards their God. Here's where this account of our God becomes so beautiful to me. God doesn't do what I would expect Him to do. He doesn't lecture His people on how they need to actually love their God. God points to who He loves, and says love these people. God cuts deeper into their already exposed hearts, and He points out their lack of justice, love, and mercy. He reminds the people of the lawless, heartless sins that lead to hard-hearted people that were allowed by God to be exiled. This is where my heart shatters. I look around at our American church and I don't see a focus on justice, love, and mercy. I see a focus on religious acts, busyness of hands, pious physical actions, empty observances, outwardly sacred, and pride-building sacrificial compliance. I see a focus on defending political views as if they are sacred while ignoring the sacredness of showing mercy to the sojourner (which would include foreign refugees.) I see a focus on following rules while distancing themselves from those who are poor or oppressed. I look at my own heart that is exposed. I see pride, selfishness, and hurry instead of love, mercy, and seeking justice. I look at my religious weekly activities. I let God ask me, "Was it for me?" Sometimes I don't like my answer. I think of the praise song we sometimes sing when we join with other parts of our Church, "Break my heart for what breaks Yours." Here we have God plainly lining out what breaks His heart: lies and corruption in justice, people who don't show kindness and mercy (giving others more than they deserve), oppressing the vulnerable, not caring for the temporary stranger, and not caring for the poor. My heart breaks for these things, and I feel unbelievable comfort when I realize God cares more than I do about injustice. My trip-ups in my twenty years of ministry haven't always been neglecting the poor or seeking justice. I've been serving in urban, missional church in the heart of my city sharing the love of Jesus with the vulnerable. My heart issue comes when I allow God to ask me that question about my ministry: "Was it for me?" Was I feeding children for God's benefit? Was I serving the poor because it was God's will, and was I serving each of those faces because Matthew 25 tells me that those faces were Jesus himself? If I allow God to slice into my human heart, I see emotions that shouldn't be present in these religious actions with my hands. I see pride. I've gotten something out of the service, and I am not honest with myself when I don't recognize it and repent of it. It feels good to serve. Look at me. Look at the sacrifices I am making to love and care for the overlooked, vulnerable, hurting people of my city. I read the end of James, chapter one, and I boast that I'm doing religion right. I feel sorry for the suckers sitting in "regular church." And God says, "Jennifer, was it for me?" I can care for the poor, the refugee, the widow, and the orphan, and still, I am not God. I don't deserve the praise. I can give up comfortable church to serve in a missional church for twenty years, and still, I am not God. No one should pat me on the back. If our motivations are wrong (if you are human, your motivations will be wrong), we should stop what we are doing and figure out what God is doing. This doesn't mean we cease to care for the vulnerable. Instead, we daily take a pause to repent of our pride and ask God what we can do for Him. He daily asks, "Was it for me?" We honestly answer. We hope we can answer that we acted out of love. We hope we can answer we did it for His glory and not our own. The week before Thanksgiving, I went to a week-long ministry retreat with my husband. It was amazing to get away from day-to-day life for that long. The only time my husband and I have been away from home that long is on short-term mission trips. Being away to rest and renew in the mountains was a completely new experience. 1. I learned that I'm better at knowing other people than I am at knowing myself. I learned about Myers-Briggs personality types, and I learned that I am an INFJ. That means I am: introverted (I prefer to focus on my inner world), iNtuitive (I focus first on the big picture), feeler (I think about people and feelings over logic), Judging (I get satisfaction from completing tasks and long for closure to all problems.) Because I am an intuitive feeler, that means I have deep thoughts and deep feelings. It was much easier to spot how other people in my life might fit into one of the sixteen personality types than it was to know that my personality type fits me. I am also actually less introverted than I thought I was. I am only slightly-introverted. I enjoy being around people more than I thought I did. I am just picky about who I want to spend time with because I am such a deep feeler, I don't want to spend time with people who can't go deep with me or I don't feel they are safe to share my deep feelings with. The problem with this is that my personality type is the rarest, meaning there aren't a lot of people who like to go deep like I do. INFJ is only 1% of the population. That means I would have to meet 100 people before I would find another INFJ. My husband has a more frequent personality type. He could meet 11 people, and chances are one of those people would be the same personality type that he is. We even have more than one of his personality types in our immediate families. So I'm on a mission to find another INFJ to be friends with. If you are reading this and you are an INFJ, let me know! In God's Word, we are never called the adults of God. We are children of God, and just like play is an integral part of child development, playing is necessary for children of God too. Beautiful times of pure worship can happen in the middle of play. So often we associate having fear of God with the idea that God is dangerous, likely to cause us pain or that God is a threat, but this isn't the emotion of fear that God demands from us. Brennan's definition of fear is a relief for an anxious person such as me. Much of my quiet times at the retreat was focused on the work I've been doing in therapy. Getting my head and heart to a healthy place is very important to ministry and my Spirit, my relationship with God. 5. We need all need healthy, weekly rhythms of rest and quiet. Our retreat journal said this, "It is not the people around us that are holding us back from a life of deep intimacy with Jesus. It is not the people around us who are keeping us addicted to busyness and noise. It is ourselves." We have to take responsibility for our choices. We need to make decisions that will plan times during our week that allow us to get quiet and ask these questions: 1. Who is God? 2. Who did God make me to be? 3. What is God doing in my world? 4. How can I be a part of what God is doing? I learned so much more than these five things, but these were my favorite new lessons I couldn't wait to share with you. It would be impossible to fit all seven days into these few words. If you are in ministry (whether you are feeling burnout or not at that point yet) I know a SonScape Retreat will impact your ministry life for the better. If you want to share what you've learned this fall, check out Emily P. Freeman's What We Learned Link-up. For several years I've made a list of great gift options that were fair trade and/or sourced from small businesses. This year, I'm not even going to pretend I don't have a favorite gift source. It's Ethiopia. If you have a chance during your holiday shopping to send some love to that beautiful country that has part of my heart, do it. 1. Happy Car Baby Blanket, $89, from Little Gabies, purchase on Yogaso Site or Amazon. 2. 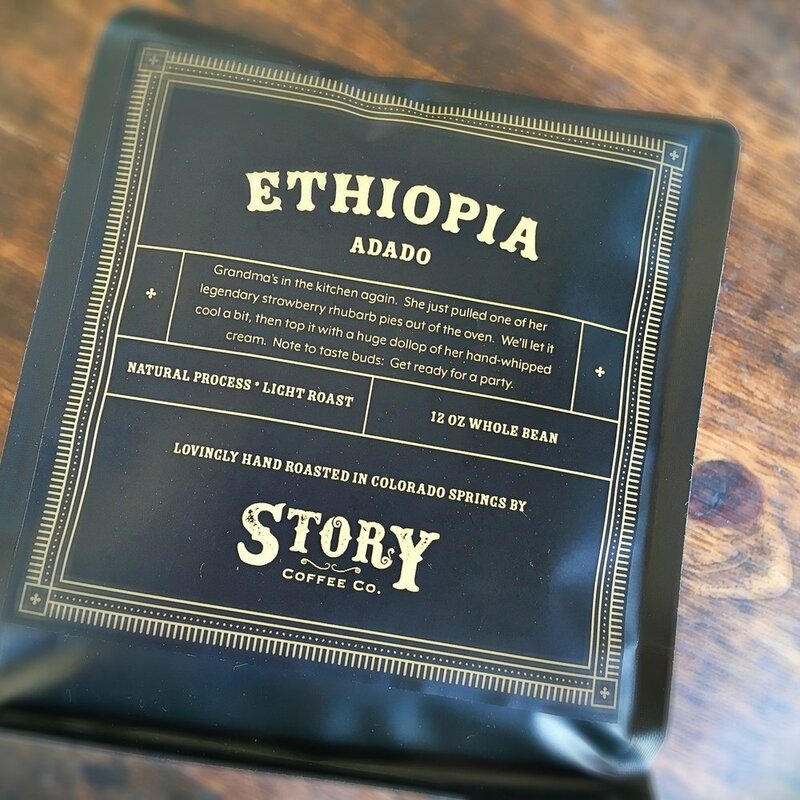 Ethiopian Coffee from Story Co., $16, purchase here. 3. Ammo Bracelet, $14, from Addis Jemari, purchase here. 4. 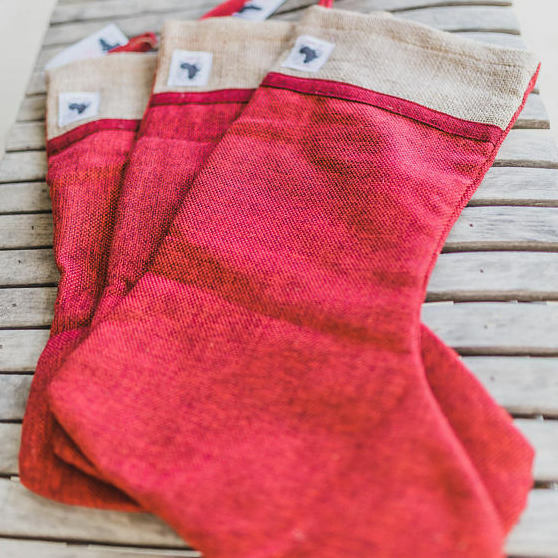 Burlap Christmas Stockings, $20, from Carry 117, purchase here. 1. 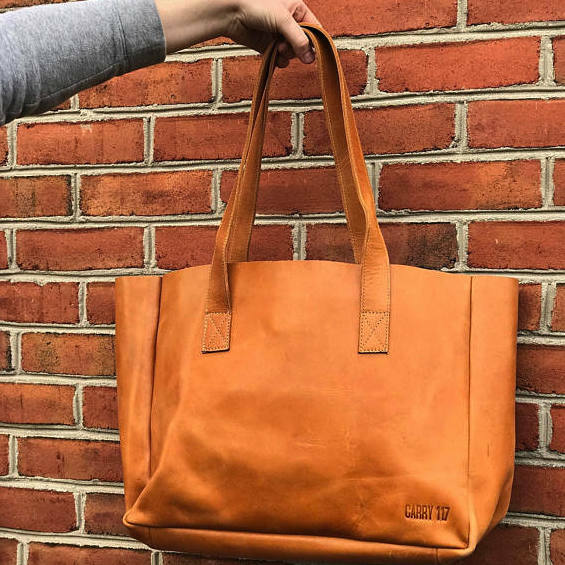 Handmade Tan Korah Tote, $199, from Carry 117, purchase here. 2. Confidant Necklace, $68, from Noonday Collections, purchase here. 3. Peppermint Lip Balm, $3, from Mare Naturals, purchase here. 4. Men's Nkrumahs Brown, $220, from ENZI Footwear, purchase here. 1. 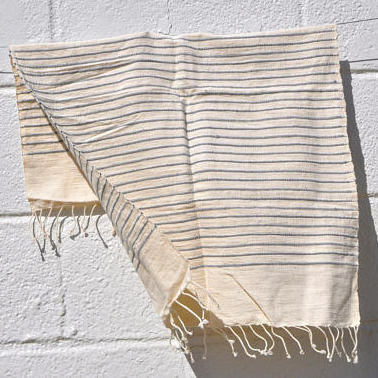 White & Blue Striped Cotton Kitchen Towel, $20, from Sabahar, purchase here. 2. 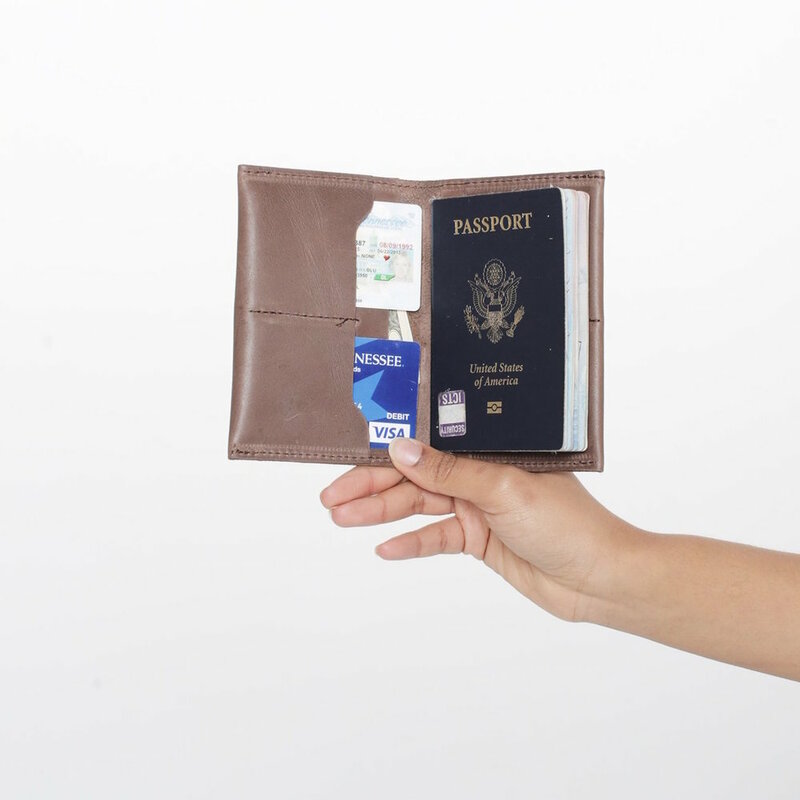 Eyerusalem Passport Wallet, $35, from Able, purchase here. 3. Azeb iPad Sleeve - Slate, $23, from Raven and Lily, purchase here. 4. Kyah Baby Shoes, $36, from Parker Clay, purchase here. So there you have it! Twelve beautiful things you can gift this holiday plus show some Ethiopia love. Still need ideas? Previous years' Christmas gift guides: 2016, 2015, 2014, and 2013. I have been buried in emotion, and I've been seeing an emotion pro (otherwize known as a therapist) to help me dig out. One thing that happens to me when I have deep feelings is that my brain gets hijacked. I am overcome with feelings of rejection and I cannot think clearly. We've identified a few triggers that send me into panic. Anytime I perceive I'm being ignored, feel unwanted, or feel rejected, I believe that I am unsafe. I am sent into flight mode, and I withdraw myself from the situation that is causing me stress. My therapist has also told me that I have a shame blanket. This means that almost every feeling I have has an element of shame linked to it. I feel like I've done something wrong to cause the stress. I've caused others to reject me. I don't even think about it. Whatever the feeling I'm having or feeling I perceive others have about me, I immediately feel: it is my fault. Just knowing I have a shame blanket gives me even more shame. What is wrong with me? As I've been working towards healthier thinking, I can clearly see God working in my life. This summer I decided to join a weekly, interdenominational Bible study called Community Bible Study. The books of the Bible we are working through are not heavily read portions of Scripture. We just got through studying Haggai and we are now working our way through Zachariah. I would have never guessed that these books of the Bible would have had such an impact on my life, but they have. Studying the prophetic visions in Zachariah was tough work mentally. Trying to understand Bible prophecy is like sorting wet spaghetti, nothing feels firm or graspable. In the midst of this study, I found something that felt as though it had been written directly for me. Zachariah was describing one of the visions he had about their high priest Joshua. This vision has direct meaning to God's people at the time it was written. Joshua was a real person. He was actually the high priest of God's people who have left exile in Babylon and are back in Jerusalem working on rebuilding the temple. This vision also is a prophecy of the coming Messiah. It is a clear illustration of the atonement Jesus Christ would offer. So when I say that these verses felt very personal to me, I am aware that they were written for His people then. But they also can be an encouragement for His people now. The enemy loves my shame blanket. He loves that I feel guilt over every feeling that God created me to have. Feelings are not sin, but the enemy loves that I feel like every emotion gives me the shame and guilt that sinning would envoke. Do you know who doesn't love my shame blanket? As I sat with my Bible study book, unconfidently trying to understand the book of Zechariah. A book written by a priest and prophet around 520 B.C., I was stunned to read this passage and feel how palpable God's love for me was in these words. This man was standing before the Angel of the LORD, who many believe is Jesus in a temporary form. To his right is Satan, acting as an accuser or a prosecutor. He has a strong case for accusation because Joshua is clothed in filthy, excrament-smelling garments. Joshua doesn't have to defend himself. He couldn't if he wanted to. He has no defense. Instead God defends him and all of His people that Joshua represents as high priest. Not only does God defend Joshua. He commands that Joshua's filthy garments be removed, and he is clothed in a pure robe. He is given a clean turban for his head and clean garments. Joshua wasn't told to go clean himself up or to wash his garments on his own. Joshua didn't deserve to have his filthy garments replaced with pure clothing. Here I am, a child of God who has been adopted into His family. I have been covered with the atonement of Jesus. My sins have been forgiven, and my God sees me clothed, not in the filthy garments I have created for myself, but in the righteousness of Christ. But I wrap up in my shame blanket anyway. I think I'm not loved. I think I'm not worthy of love. I think my feelings are wrong. I think my feelings are bad. I think I am bad. All of this thinking is tearing me up and paralyzing me. Meanwhile, God wants to wrap my head in a clean turban. He wants me to think of myself the way He thinks of me. He loves me. He sees me as worthy of love. He chose me. He sees me as good. He sees all the good things he created me to be and do. How do you let go of a shame blanket? God is going to have to do the work of prying my hands off of the security of being wrapped in bad thoughts about myself. Shame feels right because I am a sinner, and it doesn't take much to convince me that I am the problem. Shame feels right and grace feels wrong. Our flesh will never feel like grace is right because grace isn't fair. Joshua didn't deserve clean new garments. Joshua deserved the accusations. I don't deserve for God to take my shame blanket and cloth me in a robe of Christ's righteousness. I deserve the accusations, and my head is full of them. Today I have the assurance that my Abba Father is being a good parent to me at reaching down to take something dangerous out of my clumsy, unknowing hands. He is pulling away the comfortable blanket of shame that I have grown accustomed to living wrapped up in. I am crying like a toddler who wants that thing in her hands and doesn't understand my parent is trying to protect me from hurt. Like any good parent, He is placing something safe and good in my hands and hoping I will forget about the dangerous thing that He has taken from me. Lord, help me to not want my shame blanket. Help me to capture my negative, accusatory thoughts and replace them with the thoughts you have about me. Help me to feel secure in this robe of righteousness that you have placed on me, even though I don't feel like I deserve it because I don't deserve it. Jesus told us to pray, "Your kingdom come." And in God's kingdom, we are all clothed in white robes forever and ever. When His Kingdom does come, I will be able to physically see my white robe, and will never ever see or feel my shame blanket again. So I fervently pray that His Kingdom comes, now, here on Earth as it will be in Heaven. Lord, uncover me from this shame blanket and guide me in relishing my robe of righteousness! Subscribe to my email newsletter and get this helpful worksheet today. Here's a song for you, because I like sharing songs with my friends. For my third year participating in Write 31 Days, I'm going to do something a little different. I'm going to launch a new podcast. I'll be writing devotional content for each of the podcast episodes so just because I won't be typing out words here on the blog page, that doesn't mean I won't be writing my little heart out. The introduction episode and today's episode, day one, is now on my website if you'd like to listen to them both. The links are below. I will continue to add links to this page as I release episodes each day this month. DevoPod is a daily devotional in podcast form. My goal for the podcast is to make taking time to really be in God’s Word easy for listeners. Each day this month, the podcast will lead the listener through a short Scripture reading straight from the Bible, a prayer, and a question so that you can make His Word personal in your heart and life. The episodes will be about five minutes long. We will be concentrating on a different Beatitude each week; week one will examine, "Blessed are the poor in spirit, for theirs is the kingdom of heaven." I am off to a writers conference in just 10 short days. I will be attending the Declare Conference in Dallas, Texas, and I'm introducing myself for a fun pre-conference blog link-up. Whether you are a conference attendee or just reading my blog, I have now recruited you as a friend and you should know some things. When did you feel called to be a digital evangelist, what’s your main medium (podcast / blogging / books / speaking / social media / etc. ), and how long have you been doing it? I fell in love with writing while blogging about a mission trip to Ethiopia in 2014. I had been blogging about our adoption experience before that, but this was a whole new heart-tug to write about so much more. 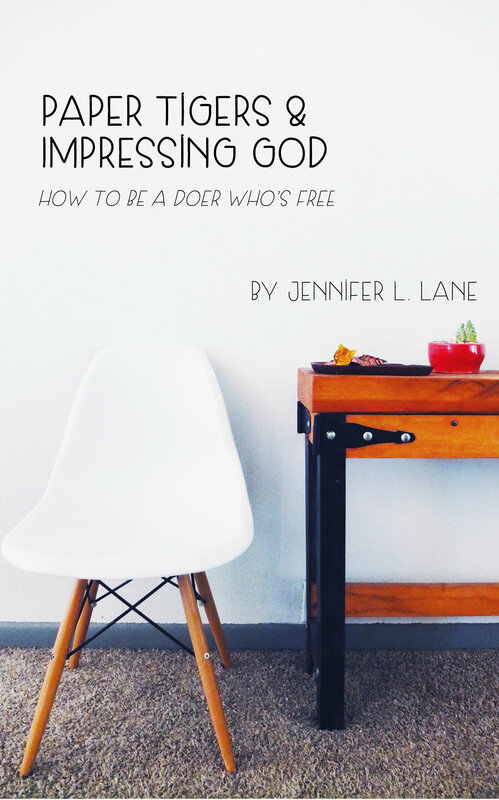 I have written two eBooks, Faith Adventures and a new eBook I will be releasing this month titled Paper Tigers and Impressing God: How To Be a Doer Who is Free. I have dabbled in the podcast world, and I have a new podcast on the horizon. What is your life scripture? Encouraging you to put hands & feet to your discipleship, so you can seek justice while you grow spiritually, is what delights my heart. I'm passionate about the Great Commission, loving my husband, and loving my 3 (soon to be 4 through adoption) pretty great kids. What is your favorite candy and / or food? Dark chocolate, it's like normal chocolate at prescription strength. Where is your happy place and what’s it like? Standing in front of a stage, hearing live music. My brain is alive, and it is marvelous. Are you working on any exciting projects that you can share about? If so, please share! I have signed up for Write 31 Days, which begins October 1st, and I am using the challenge to launch a new project - a devotional podcast called DevoPod. How can we pray for you as you prepare for this year’s conference? Pray for my anxiety. As an introvert/people pleaser, I get nervous! Instead of being in my head, I want to be present and open to new opportunities and friendships that God will lead me towards. Your turn! What are you passionate about? I'm dying to hear! Please comment & Let me know. A song for you as you go. We have some disappointing news about our adoption. Monday we got a call from the case worker at our new agency. She called to let us know that because of the breakdown in communication in rural Ethiopia, something unexpected had happened. Because little "A" that we had been working towards adopting the past 3 months was on the waiting child list for so long, the orphanage directors had reached out to other adoption agencies to advocate for him. One of those agencies found a family wanting to adopt "A." This family already had their dossier complete and updated, and they had all their agency fees paid and were able to sign an official referral with their agency. It had already been two weeks before our agency knew this had happened. Our agency told the orphanage that we were working hard to adopt "A" and very, very close to having our dossier (fancy word for official adoption paperwork) updated, but the orphanage made a judgment call. The orphanage decided to allow this other family to proceed with adopting "A." This isn't something that happens often in Ethiopian adoptions. These were unusual circumstances, but after visiting orphanages the last three summers, I could see how this communication breakdown could easily happen. We were very disappointed to hear this news Monday, and it has been a rough week dealing with all the feelings that bubbled up after hearing this news about our adoption. We know we cannot give up, and we are not supposed to quit trying to adopt from Ethiopia. Our friends and family have been so generous helping us raise money to pay the adoption fees to adopt "A." We were so very close to having all of our agency fees paid. We have raised $20,600 since the last week of December! We were only short $7,000. That is amazing! Our home study should be finalized any day now, and our dossier only lacks our final home study copy and about 5 other documents. Being so close to having everything we needed to adopt "A" made it really hard to accept that we were not going to be able to adopt him. We are honestly happy that "A" will have a forever family. He will have a home. That is what we wanted for him all along. We are just disappointed that home won't be our home. All of the money we raised and work we have done updating our home study and dossier can be used to adopt a different child through our new agency. Our agency has given us a time line that we can expect to be matched with a new child in the next 6 months. We are going to continue to gather the last of the paperwork needed to complete our dossier, and we will continue waiting for the child God has to place in our home. It has been hard finding our confidence that the Lord has a plan when we felt so sure that "A" was the boy God had chosen to add to our family. But God has been slowly speaking into our hurting hearts this week. On Monday, when I got the heartbreaking call from our agency, I was sitting in the Michael's parking lot about to buy paint. The plan had been to make as many wood signs as possible this month to sell at a craft show this weekend. I had just started a new sign. I picked a Bible verse completely randomly. I was looking for a Bible verse that was universally loved. I didn't even think about what the verse or sign said on Monday when I started making it, hoping to make several to sell at the craft show. On Tuesday, when all I wanted to do was watch mindless television and eat Captain Crunch, I realized that God had given me this verse that I would need before I even knew I needed it. Even though I walk through the valley of the shadow of death. God is restoring our soul. God is planting dreams in our hearts and reassuring our family that He is leading us. He has a plan. I shared a list like this at the beginning of 2016, and it was fun. When things are fun, sometimes you do them again. The hero of this list is the Amarillo Public Library. Of my four books, 3 of them were checked out from that wonderful place. In fact, of the 54 books I read last year, 30 of them were loaned to me, physically or virtually, from the best-we-spend-taxpayer-money-on-in-my-opinion, the public library! I said virtually in that sentence because, miracle of all technological miracles, I can check out e-books AND audio books on my iPhone. Thank you Uncle Sam AND Steve Jobs! The other hero of this list is the webpage Goodreads. I love my little Goodreads app where I can keep track of what I read, because I know I wouldn't have remember all 54 of those books. It helped tremendously in making this list. I love me some goals, and Goodreads has an annual reading challenge. Last year I set my sights on the goal of reading 52 books, and I crushed reading in December and surpassed my goal by 2. Go me! Here's 4 books that really got me in the gut, mind, or heart. These books changed me a little, and I think they are well worth your time. I was touched by Lecrae sharing the truth about his childhood. I've been working in inner-city ministry for about 20 years. When you've had a middle class upbringing, you might read Lecrae's story and assume that he is the exception or unique. I think most of the kids I've encountered in our ministry would relate to Lecrae's early years, the physical abuse, the sexual abuse, being handed off to grandparents for months, the hurt of being fatherless, and/or the pressure to find your place in a violent culture. There are kids just like Lecrae in your cities and towns, with just as much potential! I also admired Lecrae's honesty about his early Christian years, becoming very legalistic. I recognize myself in that struggle. It just took me longer to figure out I couldn't be good enough, because I am such a good girl. I think the reason Lecrae has found an audience is because we all feel like an anomaly, we all don't fit in on this Earth. I look forward to Heaven, when we will all be fully ourselves and fully the Bride of Christ. On that day, I'll be happy to stand beside brothers like Lecrae as well as brothers and sisters from every nation and worship The Lord as one. Until then, we can learn so much from audio-biographies like this one that help us understand cultures different from our own. If you had a childhood similar to Lecrae, this story can help you process your own grief, but if you didn't it can bring you understanding. Either way, this book can lead us to be a better version of His Church while we are here on Earth. I thought I knew what to expect from this book because I had read quite a bit of Shannan's blog and listened to interviews from Shannan, but this book surprised me in all the best ways. I didn't expect to be so challenged. I had to rethink some ideas that I thought I had already pushed so close to Jesus, they had to be right. Shannan's stories draw me even closer to that every pressing goal of thinking, talking, acting, and living more Christlike. She shows the grey, the not easy, in the pressing on and pressing in. All of this idea-wrestling is done with lovely, kind, poetic, beautiful words. Her book is a friend that isn't afraid of the hard days. Shannan's writing is relatable, kind, interesting, inspiring, and down-right challenging. If you read it, like I did, I know you will love it. My copy is getting a good re-read, as currently I am going through this book with a group of ladies who are meeting monthly to discuss it. In re-reading this, the Lord has already used Shannan's words to push me farther into freedom and trusting Him. The chapter that has really was a lifeline for me during this crazy time of trying to climb the mountain of international adoption is chapter four, Unplan. Listen to this quote. Yep. That's truth right there. And thank the Lord that he doesn't just lead me back to myself. I would make an awful, horrible, no-good god. This book pushed me WAY out of my comfort zone, but I will never look at this country of ours the same again. I thought the constitution protected our citizens. Now I know it doesn't. I know that sounds dramatic, but there is great misuse of the 4th amendment and abuse of the 13th amendment in our country right now. I think stories speak louder than political debates, so I will share this quote with you. It is a long one. If these heartbreaking injustices don't hit close enough to home, I was not surprised to see that the Tulia drug bust debacle was mentioned on the first few pages of The New Jim Crow. I know the idea that our wonderful, glorious country could have such a huge flaw in our justice system is extremely uncomfortable. I know as a white girl, I have the luxury of ignoring the problem or believing the criminalization of people with brown skin is warranted by bad decisions and actual criminal activity. It isn't always true. I pray that our justice system becomes more just. I pray we all will get past our preconceived ideas and just try to understand the ideas in this book. To be honest, this wasn't the best fiction book I read last year, but it was the most fun. Sometimes when the world is a little dark, fun is just what we need. I hope you found a book you want to add to your "to-read" list from my list. If not, I'm on Goodreads updating what I'm reading all year long. I'd love for you to be my friend on Goodreads. Click here to view my profile, and click "add as a friend." My favorite band had just released a new album when I did my "4 Books I Loved in 2015," and now one year later, they have another new album. It feels like the happiest of accidents or just a mid-level band with incredible work ethic.